To raise fund for their school, Wendy and Alice cut out red paper hearts for sale. They could cut 3 red hearts from each piece of paper. For every 19 pieces of paper used, 2 red hearts were damaged. The red hearts were sold at 5 ¢ each. Wendy and Alice collected $38.50 in total from the sale of all their red hearts. How many pieces of paper were used to cut the red hearts? Bryan invited 20 more boys than girls to a party. 3/4 of the boys and 2/3 of the girls came. 19 people didn't come. How many people did he invite? There are 47000 small and big marbles. 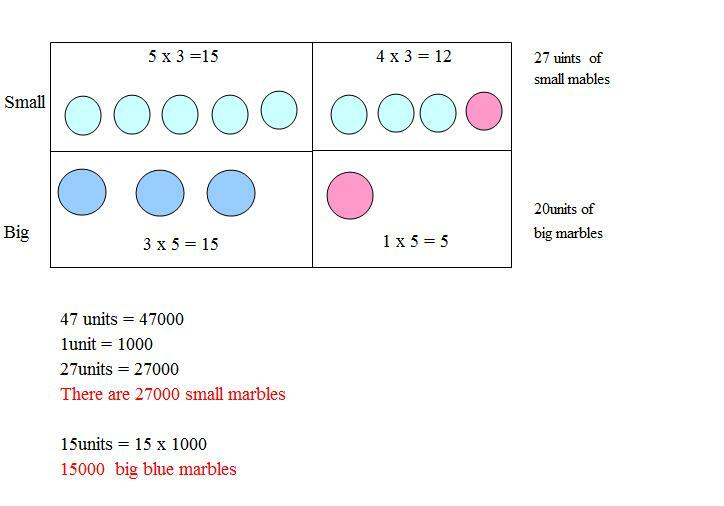 How many small marbles are there? How many big blue marbles are there? Harry and Martin cycled from Town X to Town Y at constants speed. Harry took 4 hours to cycle the whole journey. Martin took 2.5 hours to cycle 3/4 of the whole journey. 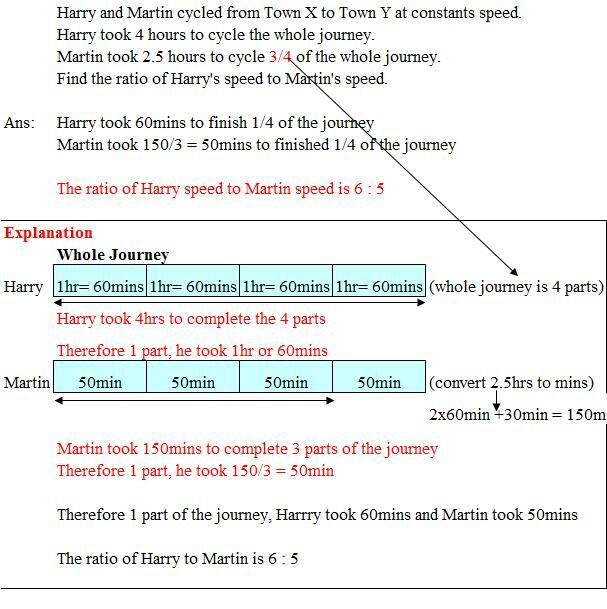 Find the ratio of Harry's speed to Martin's speed. 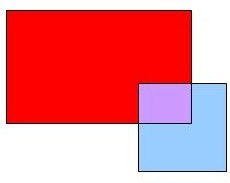 Taufik arranged a rectangle and a square and painted them in three colours as shown in the figure below. THe ratio of the area of the rectangle to that of the square is 3:1. The ratio of the area of the red part to that of the blue part is 4:1. The length of the square is 9 cm. a) What is the area of the purple part? 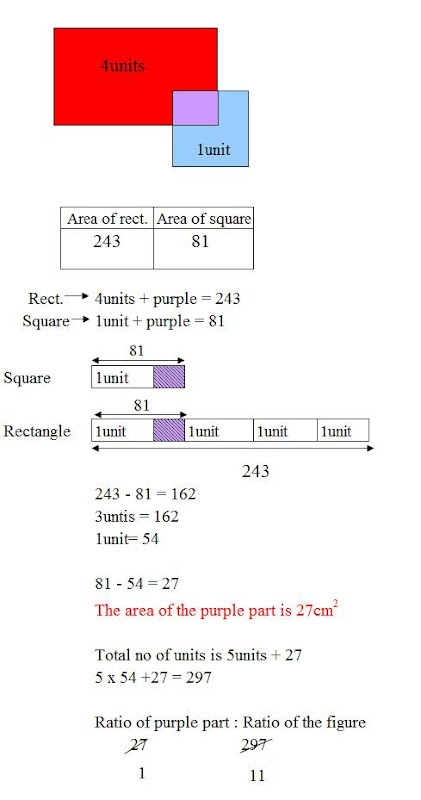 b) What is the ratio of the area of the purple part to that of the figure? Uncle Tom is going to deliver some good from his shop to a customer in a town. If he travels at an average speed of 30km/h , he will reach the town at 1pm. If he travels at a speed of 40km/h, he will reach the town at 11am. What should his average speed be if he wants to reach the town at 12 noon? if travelling at 40km/h, he will be 60km faster. There are some workers. They arranged chairs into short rows and long rows. There are 18 short rows and 7 long rows. Each long row has 16 more chairs than the short row. 3/7 of chairs are arranged in short rows. The rest of the remaining chairs are stacked in a corner. a) What fraction of the chairs are stacked in the corner? 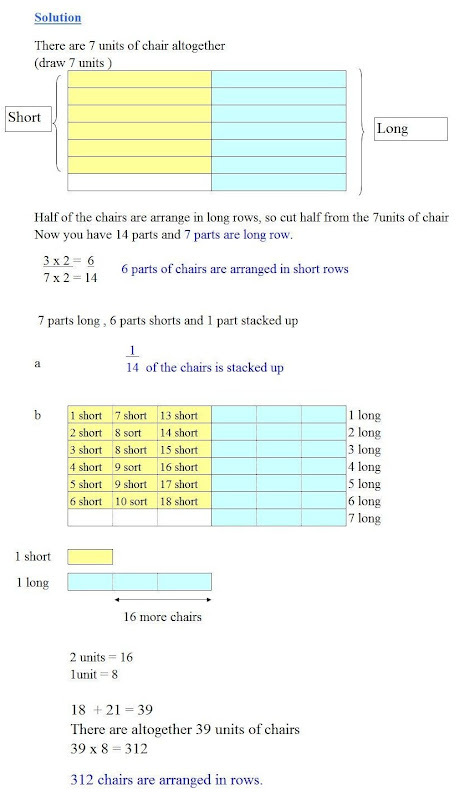 b) How many chairs are arranged in rows?